H.E. Suhail Mohamed Faraj Al Mazrouei was appointed as UAE Minister of Energy in 2013. H.E. Al Mazrouei has held multiple positions across both government and the private sectors. He is a member of Mubadala Investment Company’s Board Executive Committee and Audit, Risk & Compliance Committee. 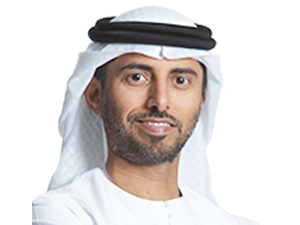 He has been with Mubadala since 2007 and became Managing Director of International Petroleum Investment Company (IPIC) in 2015.